Q. How can employers help workers get healthy? A. Offer awesome wellness benefits. Job perks like subsidized parking, free lunch, or company-sponsored happy hours are great, and certainly promote bonding among coworkers, but these activities almost inevitably contribute to unhealthy behaviors. With obesity on the rise and “sitting disease” gaining attention, employers should more closely evaluate their company culture and determine ways to offer appealing perks with a focus on health. Healthy vending machines, onsite fitness centers, shower facilities (for those who want to walk or bike to the office), or “gym-and-tonic” happy hours are a great way to boost employee morale, improve workers’ health, and save the company real dollars. In-office corporate wellness programs are typically the best way to engage employees because they show workers that upper-management prioritizes health during the workday. Depending on the demographics of the company, though, this is not always an option. Be realistic and emphasize wellbeing but recognize that every organization will react differently to shifts in company culture. Wellness, from an employer standpoint, should focus on improving employee health, reducing health care costs, and creating a return on investment. From the employee perspective, however, well, employees love “free” stuff. Perks are called “perks” for a reason! Sure, every paycheck is great and health insurance is crucial, but smaller, seemingly insignificant benefits can go a long way towards making workers happy and excited about an office wellness initiative. A free monthly yoga class , onsite chair massage, or a group ice skating trip are all low cost but give the company an edge when it comes to corporate health. 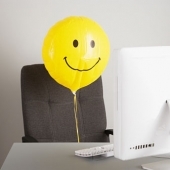 Employee retention is always important, but retaining healthy, happy employees is the ideal situation. Wellness Corporate Solutions is experienced in developing onsite solutions that work within your corporate culture to maximize performance and increase employee engagement. Contact us for more information about instituting a culture of health at your organization. They can do a lot of incentives like providing health insurance card where they can manage to have a free check up and consultation.Organize activities that will be profitable to the employees and have a seminar in order to give advice and recommendations. Employers can provide all kinds of medical benefit to their employees so that they can trust on their employer that he value them. Time to time motivation and increment also keep employees faithful to the employer. I think that should really be one of the top priorities for company executive when it comes to providing incentives to their employees. Nothing makes workers happy like having them well-pampered, health-wise.